HIMSS today published "2019 Healthcare Trends Forecast: The Beginning of a Consumer-Driven Reformation," a report that features commentary and analysis from leaders across HIMSS, Healthbox, Health 2.0 and PCHAlliance – each of whom have a birds-eye view of industry trends and the levers of change. "Against this backdrop, it will no longer be enough to bring to market the next bright, shiny gadget," the HIMSS report stated. "Digital health tools will need to answer for the way technology will increase access to care and narrow gaps in care and coverage. There will be increased pressure to standardize systems for advanced interoperability to help improve the way information is shared and care is administered, and to do so more quickly than ever before." "Consumer demand for greater access to personalized and patient-centered care will increasingly favor those offering convenience, choice and, most importantly, cost transparency," the report said. "In 2019, external market disruptors entering the healthcare space – companies like Amazon, Google and Walmart – will continue to apply their understanding of consumer expectations and machine learning tools to meet and exceed customer demands in ways that the traditional healthcare market still struggles with." Though these companies have a sophisticated understanding of buyers' needs and expectations, they come lacking a real understanding of the depth and complexity of healthcare delivery, the report said. At the same time, consumers will increasingly demand greater access to personalized and patient-centered care, as they shift their attention to those offering convenience, choice and, most importantly, cost transparency, the report added. In 2018 it became clear traditional healthcare alone won't bend the cost curve, and social determinants of health must be at the forefront of care, the HIMSS report said. 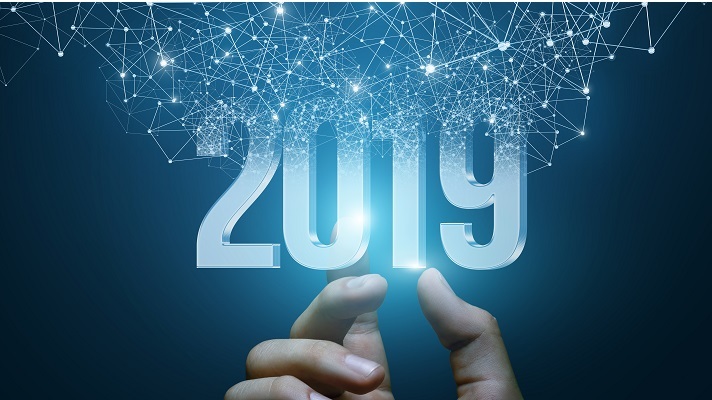 In 2019, companies focusing on the social determinants of health and how to integrate mechanisms for providers to play a bigger role in triage, data-driven care, continuity of care and personalized action plans will find a more receptive environment, the report added. "Financial pressures on care providers will continue to increase as organizations are expected to do more with fewer resources and reduce costs while providing higher quality and safer care," the report said. "The silver tsunami will continue to exacerbate these pressures, as 11,000 people per day in the U.S. reach 65 years of age. This increasing volume of patients, many with complex health issues, will compound with loud consumer demands for transparency into how increased healthcare spend translates to high quality, efficient and accessible care." Healthcare organizations the world over are struggling to provide the right information about the right patient to the right provider in a secure and timely manner because of the actions of bad actors – and they're looking to policymakers to help them, the report said.